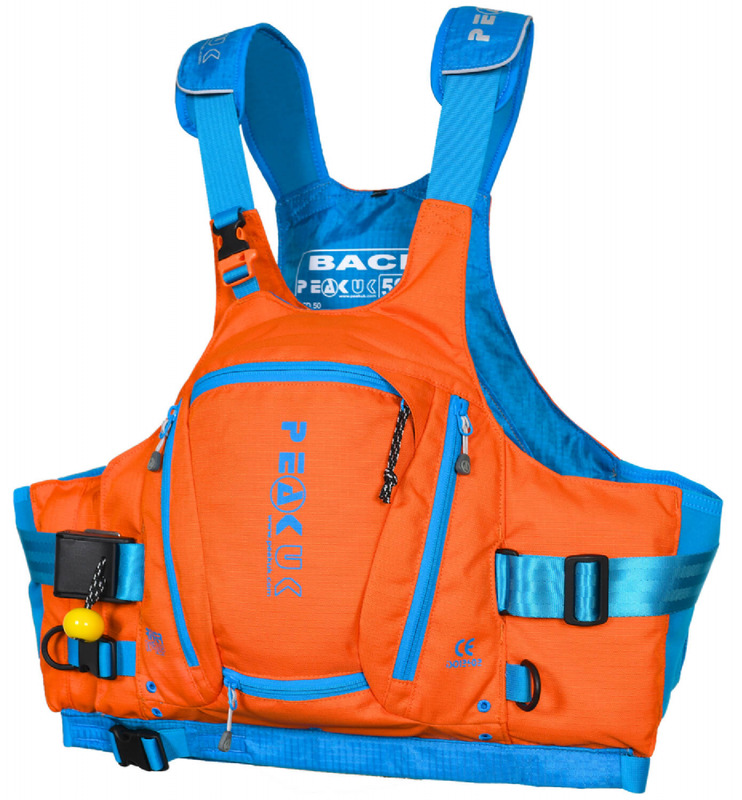 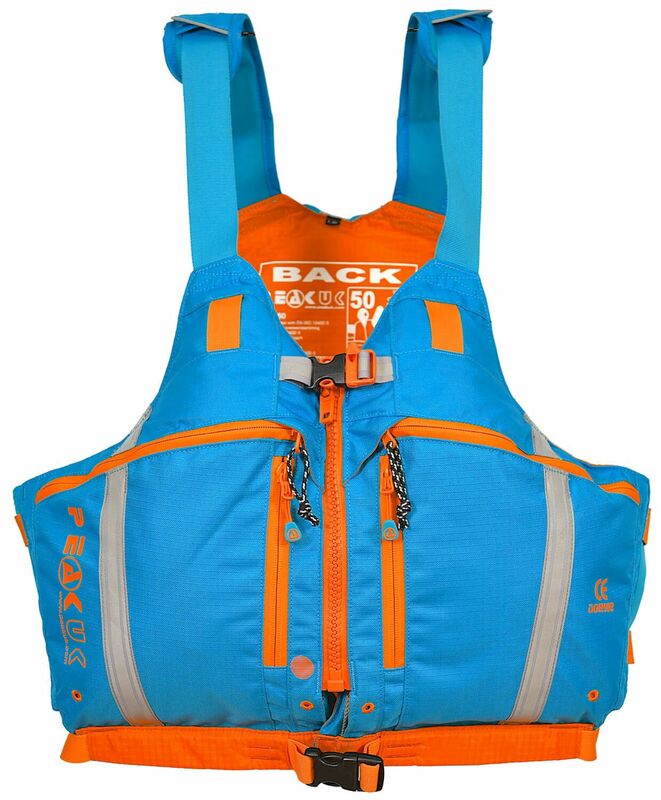 If you want the space and carrying capacity of a vest PFD but the ease of use of a front entry then look no further. 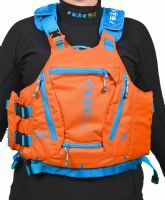 The Peak UK Ocean Wrap PFD is similar in style and on the water functionality to the Peak UK River Guide PFD, yet with the added bonus that it is much easier to get on and is more orientated to sea kayaking and touring. 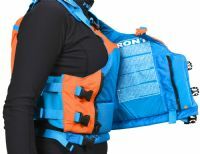 The inner most panel of the Wrap also makes for a far more comfortable fit in the women's sizes, with an innovative chest foam layout. 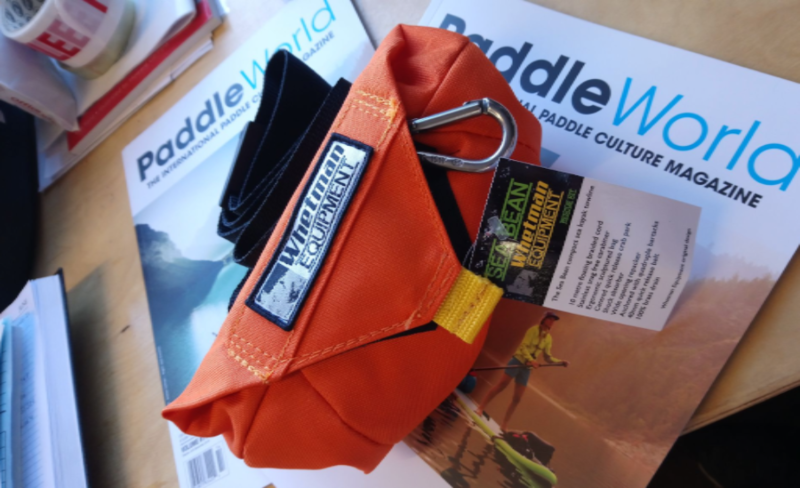 Features include a cavernous front pocket for all your phone, sling and chocolate bar needs, plus twin radio and camera pockets and a knife pocket, with all pockets using metal zip sliders and sewn drainage holes. Peak have again used their signature snag free side adjustment, with neoprene casing, as well as their figure hugging shoulder adjustment. This PFD is ISO approved and made using Gia environmentally friendly soft floatation foam in a tough ripstop 600d polyester / nylon shell. 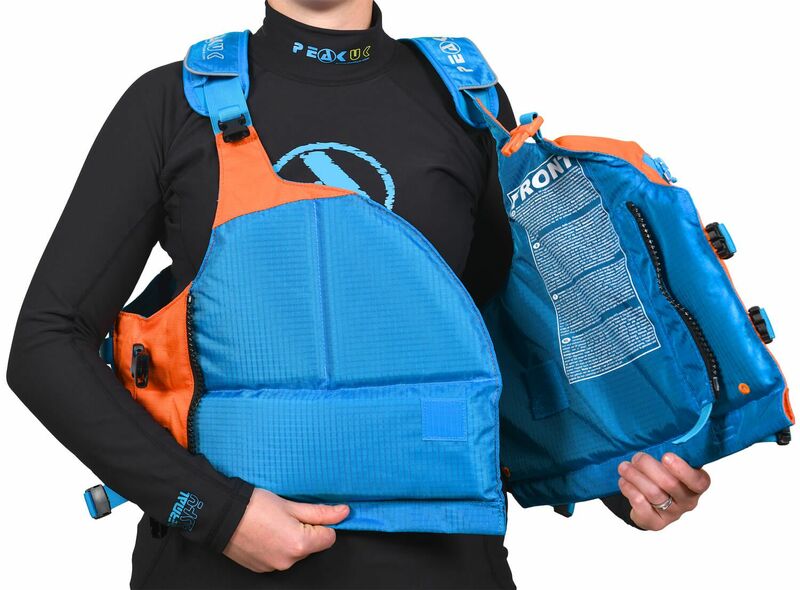 On the rear of the PFD is a handy hydration pouch making it easier to keep hydrated on the go.